Thomas English was a prominent planter who had this house built sometime around 1800. After the Civil War it was purchased by the South Carolina Land Commission and sold under a payment plan to newly freed slaves. 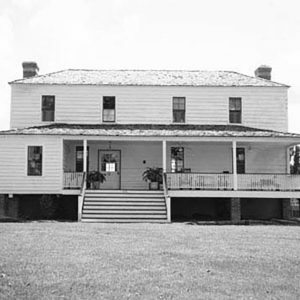 In the 1870s and early 1880s, the property appears to have been owned by an African American man named Gibbes Carter and his wife. After his death, Carter’s widow owned the property until 1900. In 1991 the house was moved about two miles from its original location on Kershaw County Road 12.